Apple said Wednesday that China will be among 22 countries that soon will get the newest iPhone, one of Apple's hottest-selling yet. The iPhone now accounts for nearly half of Apple's annual revenue, and some analysts believe it earns the company more than 60% of its profits. China is one of the world's largest mobile device markets, with close to a billion cellphone users by some estimates. Apple currently partners with China Unicom, one of the larger carriers with close to 200 million cellular subscribers. Will Siri actually be able to speak and understand Mandarin? Eventually, yes. 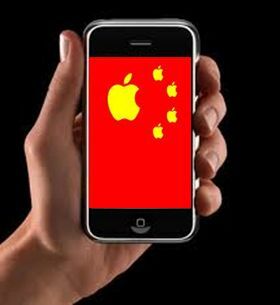 An Apple spokesman said the company plans to add official language support in 2012 — and that will include Chinese. But Siri won't yet be multilingual when the phone hits Chinese stores this month. This is very good new for the Chinese people because Siri also provide Chinese language and Chinese people speak in their own language and Siri understand their language . I think Siri will increase its service and provide different languages and people are going to access very easily to this applications.